This is my latest custom for a dear friend. 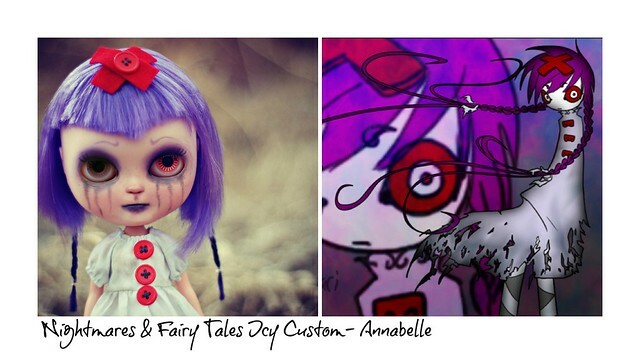 She wanted a custom doll inspired by Annabelle. 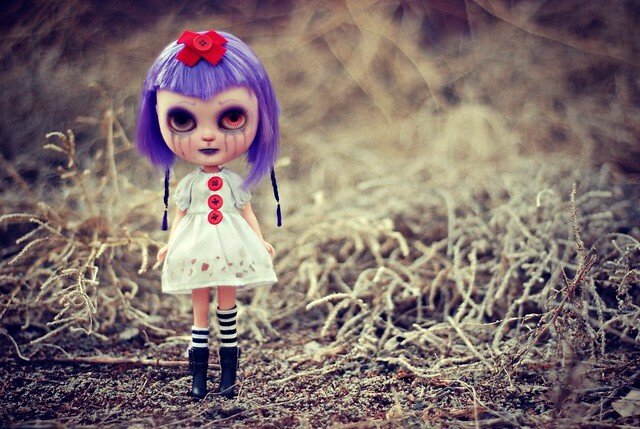 A character in the Nightmares and Fairy Tales book series. 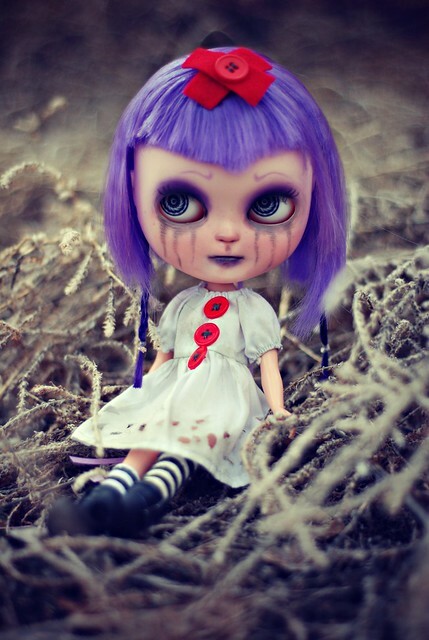 Annabelle is a rag doll that is believed to be cursed and that whoever falls into possession of her is sometimes cursed themselves. 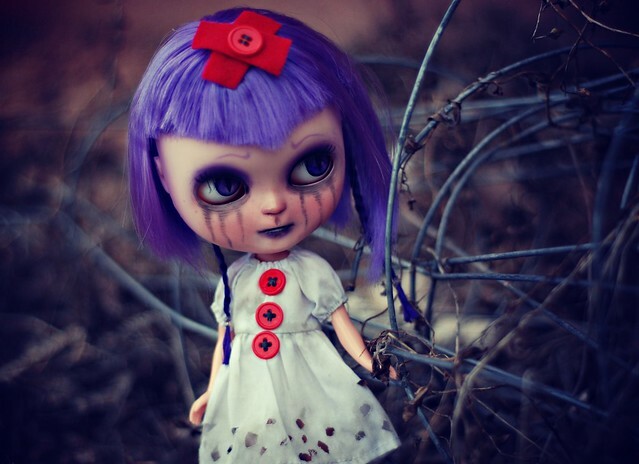 She has been stitched with love. I even altered a dress and made the bow, which is a first for me. I am not good at the sewing skills. 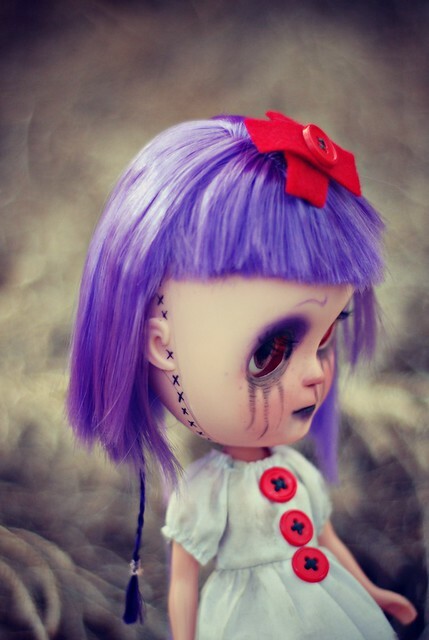 I usually have someone else make the clothes for my custom dolls. I enjoyed creating this dark little princess. Very cool! She's great, I think your friend will be over the moon with her!